Rollet's lachrymal sac retractor, metal, c 1906-c 1920s. The lacrimal sac is towards the midline of the body, sitting on the lateral side of the nose and medial side of the eyeball. It sits within the space formed by the lacrimal bone and frontal process of the maxilla. The nasolacrimal duct descends from the sac down towards the nasal cavity. 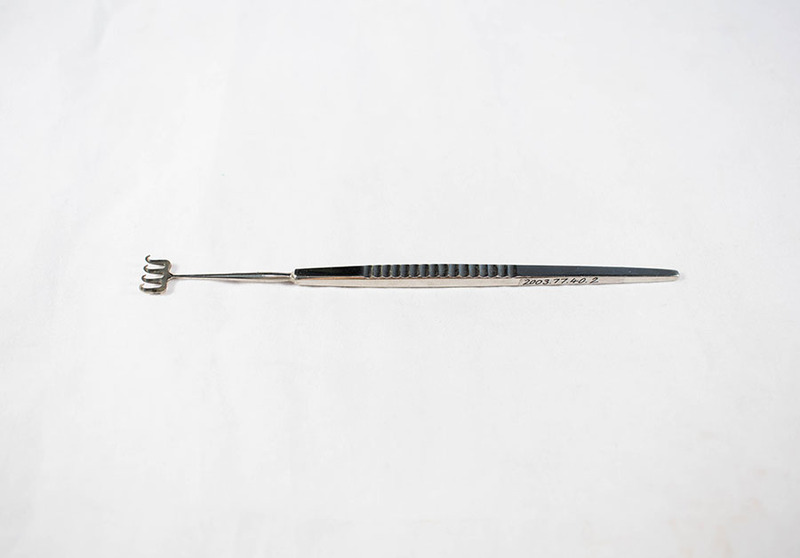 This retractor would have been used during surgery to move the sac out of the way. 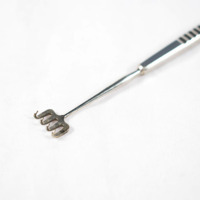 John Weiss & Son, Ltd.; 1787-; Surgical instrument makers, “Rollet's Lacrimal Sac Retractor,” Heritage, accessed April 24, 2019, https://heritage.rcpsg.ac.uk/items/show/169. 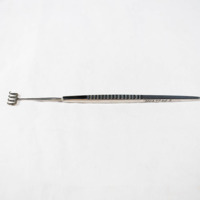 Description: Rollet's lachrymal sac retractor, metal, c 1906-c 1920s. The lacrimal sac is towards the midline of the body, sitting on the lateral side of the nose and medial side of the eyeball. It sits within the space formed by the lacrimal bone and frontal process of the maxilla. The nasolacrimal duct descends from the sac down towards the nasal cavity. 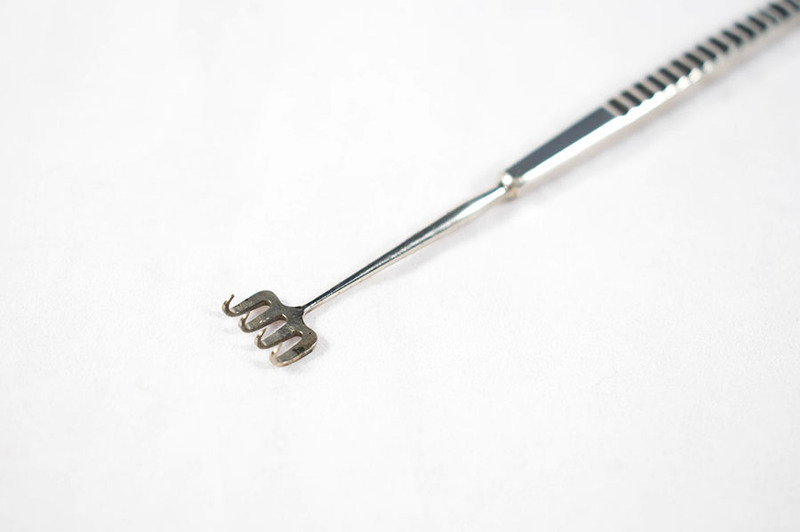 This retractor would have been used during surgery to move the sac out of the way.